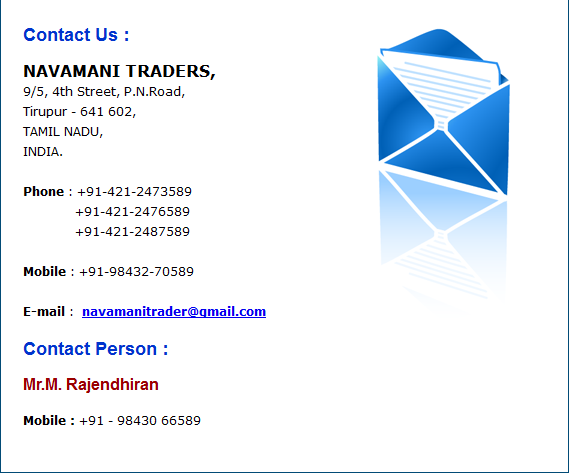 The firm Navamani Traders was established in 1995, by the promoter Mr.M.Rajendran. A well known yarn Merchant in Tirupur. 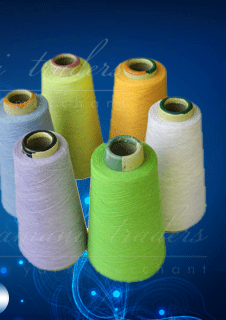 We are one of the leading cotton dyed yarn and hosiery yarn suppliers in tirupur. Other varieties are also available for exporters. We started with 2,000 shades in dyed yarns of ready stock in 1995 and now we have 20,000 shades readily available. we source from the market with standard & good quality. All enquiries are replied to the customer within 2 hours.